“We’ve got a major launch with F1 coming up in September and developed at our Birmingham studio, and we hope to draw new IP from there. Our Guildford studio is working hard on Bodycount, and we will be looking to take that franchise further and further with the addition of more IP. Dakle, razvoj službene F1 igre nije razlog za zaustavljanje drugih velikih projekata. 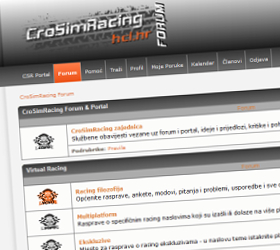 To izdvaja velike od malih, ovaj puta, na sreću opće racing zajednice! This entry was posted in Vijesti and tagged codemasters, dirt 3, forum, grid 2, jamie macdonald, r&d, race driver by Montoya. Bookmark the permalink.